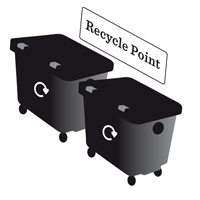 We have more than 70 recycling points across Brighton & Hove. At these we collect large amounts of household recycling such as paper, glass and cans. We also recycle a large amount of more unusual items, including more than 100 bras a day and a tonne of toys every month. The recycling points, sometimes known as bring sites, are spread throughout the city. 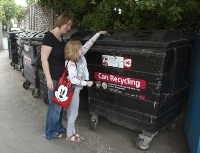 They are made up of a number of bins which are maintained and collected by the council and other companies and charities.